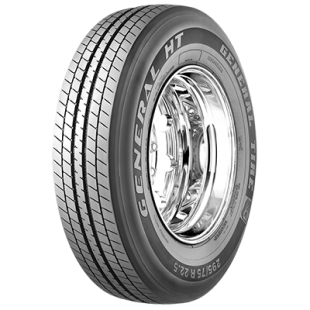 The General HT is a solid shoulder trailer tire that offers exceptional durability, a wider casing platform and low rolling resistance. 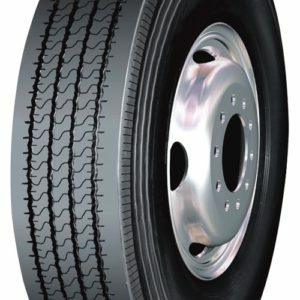 Its tread design delivers proven fuel economy and improved performance for a variety of demanding applications. Featuring an innovative stone repellent tread pattern built with patented groove technology, the tire is specially engineered for minimum stone retention and an extended casing life. A reinforced sidewall reduces damage and scruff ribs lend protection from curbing and cutting. 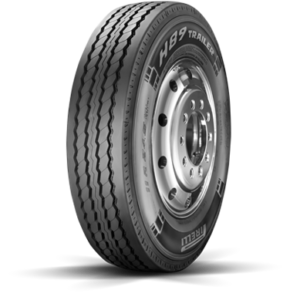 Eco-oriented, the HT’s tread compound is optimized for low rolling resistance, reducing costs and optimizing fuel consumption.